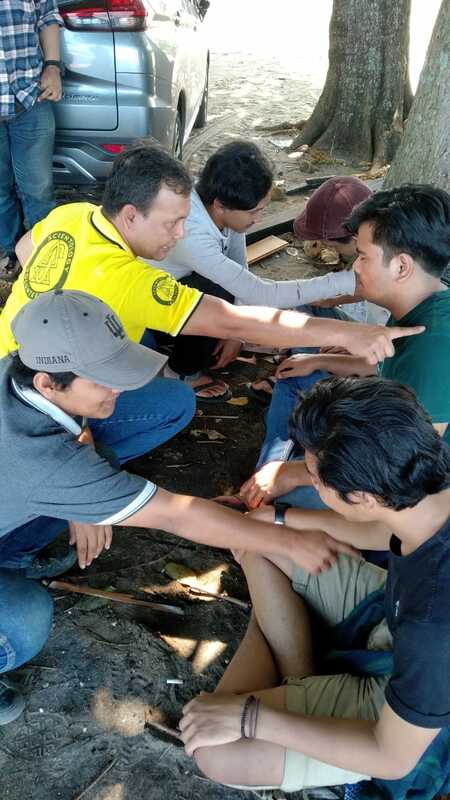 JAKARTA, Indonesia, January 15, 2019 – ​As 2018 drew to a close, Indonesia was reeling from the last of nearly 2,000 disasters in the previous 12 months. Tsunamis, earthquakes, volcanic eruptions, flooding and mudslides killed thousands and left hundreds of thousands homeless. Catastrophes are common in this island nation, the natural consequences of living on the Ring of Fire at the intersection of three major continental plates. To reach out to the people of the country in the aftermath of its most recent disaster—the December 22 tsunami triggered by the eruption of the Anak Krakatau volcano—Mr. Perwaiz ul Hasan, director of the Dianetics Assist Team of Pakistan, traveled to Java to train emergency personnel and university students on Scientology assists—techniques from the Scientology Handbook developed by Scientology Founder L. Ron Hubbard. Assists help relieve suffering and are frequently used by first responders to help those affected by disasters. For two decades, ul Hasan—who was awarded the International Association of Scientologists Freedom Medal in 2012 for his years of service, compassion, and care—has helped hundreds of thousands in Pakistan recover from devastating floods and other natural disasters. Ul Hasan is conducting workshops in Jakarta on how to help those injured in times of disaster through use of the Touch Assist. The Scientology Handbook contains 19 courses including how to deliver Scientology assists, improve one’s ability to study, resolve conflicts and relationship and marriage difficulties and raise happy and self-reliant children. All Volunteer Ministers courses are available online free of charge for anyone wishing to learn skills to improve their own lives and help others. The Volunteer Ministers program was expressly intended for use by Scientologists and non-Scientologists alike. Anyone of any culture or creed may train as a Volunteer Minister and use these tools to help their families and communities. And all are welcome to do so.